At first glance, I thought I was looking at EA Playground when I opened this package from THQ. 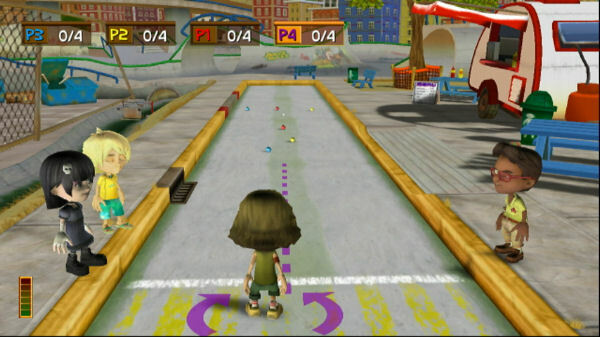 The game cover was very, very similar: cartoony, colorful children playing outdoors. 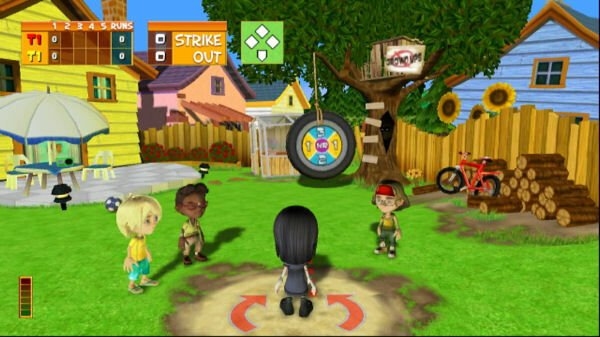 Casual games for the family is a theme many Wii games revolve around, and as such, Neighborhood Games is yet another collection of mini-games for the Wii, including Football, Shuffleboard, Golf, Basketball, Tennis, Ladder Golf and Lawn Darts and Target Practice, among others, plus variations of said games. 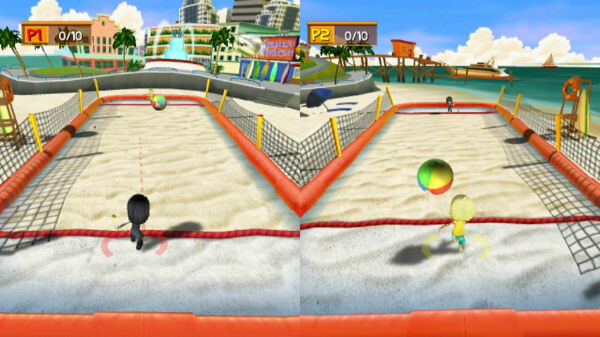 Most of the games here involve a simple aim and throw concept, which in practice works so well in other titles (such as Wii Sports, for example), where you can easily repeat the same throw in terms of power and direction. But here, it's becomes impossible to do that, even with the help of a power meter indicator. What seem like intuitive controls at first... really don�t work out as such. An interesting feature is the ability to customize your avatar and actually use it to taunt your opponents while they play their turn, in attempts to break their concentration. AI-controlled characters will also do the same for you in single-player mode, to the point of teasing you when you lose. And while it is an interesting feature (reminds me of Baseketball and the psych-outs) I'm actually not too fond of it in this type of game, since it does pass along the wrong message to kids. After all, it's not cool to rub it in to your adversary when you win. You are rewarded for your victories, of course, as no effort is in vain. Every time you win a game, you collect new clothes that you can use to customize your avatar with. You are also granted the "Master" title for a specific activity if you defeat the AI three times in that activity. With each victory, players take home new clothes for their customizable avatars. Defeat the computer three times and you�ll be declared a "Master" of that activity. 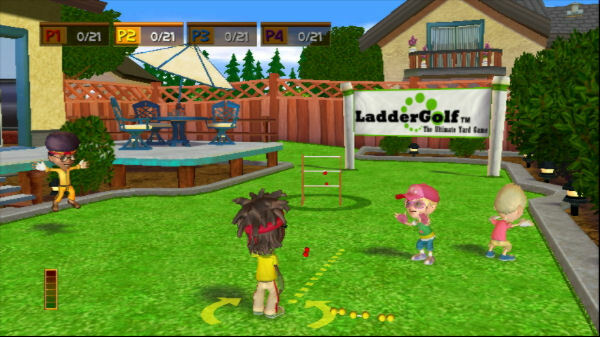 Neighborhood Games actually has a good concept and fun activities inside an attractive package. There's a good selection of games to choose from, and it's bound to have something to please everyone, and you get to unlock variations of the games as you play and beat those available. 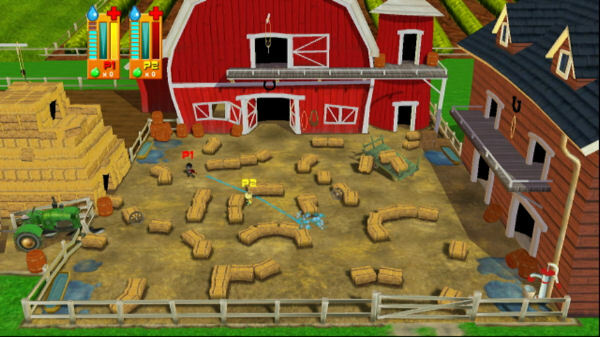 Furthermore, aside from a single-player mode, there is an offline multiplayer mode plus a tournament mode where players go against backyard bosses and try to conquer the neighborhood. On the technical side, there is little reading involved, which makes the game even more child-friendly. 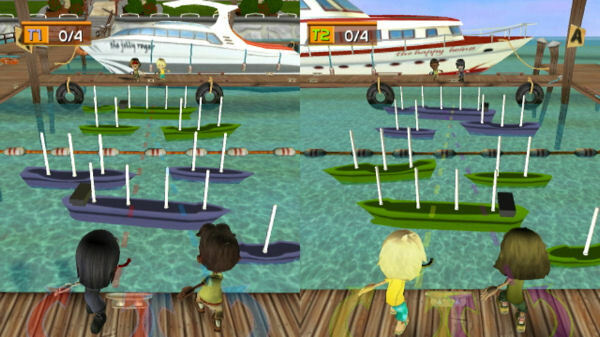 The visuals are attractive, the avatars animate nicely, and the sound is realistic enough that you can recognize specific effects such as sirens in the background and other noises you would hear outside. 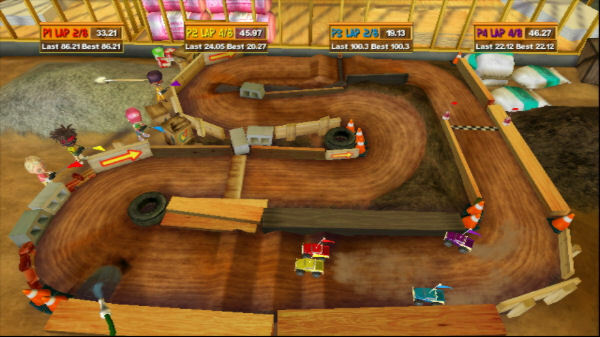 But unfortunately, and like most of the mini-game collections released for the Wii, it suffers from serious problems with the controls, which are executed poorly and ruin what could have been a solid title. 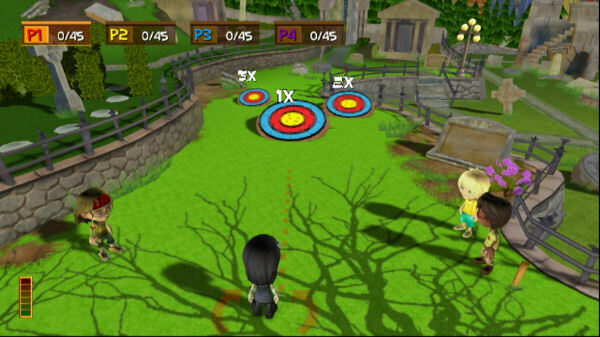 While the menus and controls are actually simple and user-friendly, the motion sensor doesn't seem to be working properly and turns out to be frustrating - particularly in the "throwing" category of games. Not to mention the fact that the games themselves don't really offer anything new to the player in terms of gameplay. 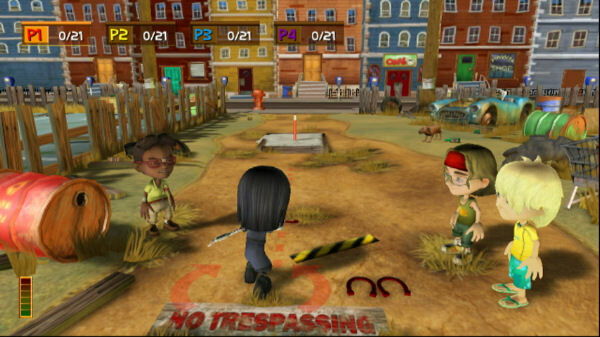 Neighborhood Games and its colorful, bright and cartoony world will probably keep the kiddies entertained for a while, until the reality of those problematic controls kicks in and makes the fun go away. You'd be better off just taking the kids and having real water gun fights or play with remote control planes outside. Special thanks to Kristina Kirk and THQ for providing a copy of this title.